While many residents aren’t burning the midnight oil to ring in the new year on December 31, that doesn’t mean that the spark of renewal and enthusiasm to embrace a new year is any less for these folks. 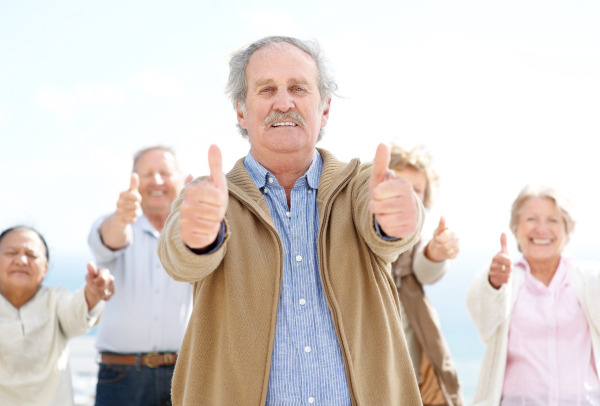 The new year is a great time for senior living communities to launch or promote their community wellness program. Education: A wellness-based lifestyle can be a foreign concept to some older adults. Hold an educational lecture series highlighting the multiple dimensions of wellness. Describe the different dimensions of wellness and provide residents with examples of the regularly scheduled activities they can get involved in at the community related to the featured dimension. Fitness: Help residents establish short- and long-term fitness goals in the new year and help them track their progress. Recognize when goals are met to help residents feel an early sense of accomplishment in the new year while further helping them continue to strive for longer-term goals. Incentivize engagement: Schedule special activities in the first couple months of the year that touch on the different dimensions of wellness. Flag these activities on your calendar and tell residents that they will be entered into a prize drawing for each activity they participate in. You can also host a party for those residents who attend each of the special activities. Overcoming a setback in life can be pretty challenging, be it a job loss, divorce, financial distress, or a setback in reaching the health and fitness goals you have set for yourself at the onset of your fitness journey. So what should you do if you happen to gain weight? Body composition results are less than ideal? Mile time is slower? 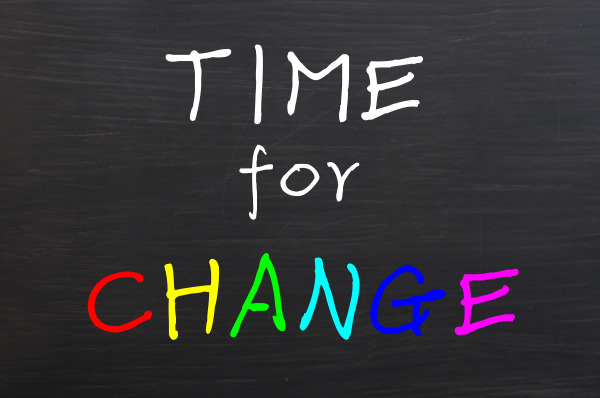 How you we get back on track before slipping any further back into the old behaviors that probably got you to the point of change in the first place? 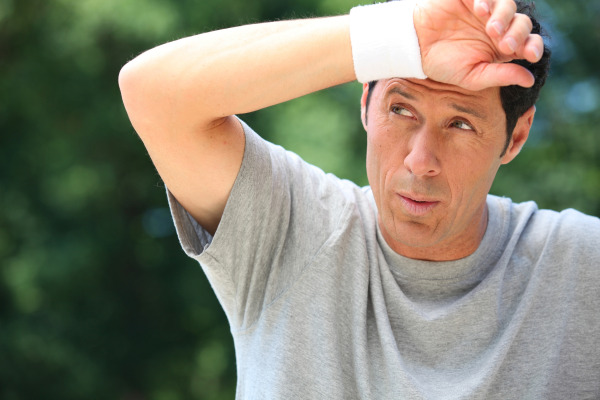 Here are a few steps to follow if you experience a slip in the diet, lack of exercise, energy loss, or any other reason (or excuse) that results in a health and fitness setback. 1. Get your head right. Remember the reasons you started your journey to better your life. Work through and dispose of the negative thoughts that are becoming self-fulfilling prophecies. Understand that even the strongest of individuals can relapse into destructive behaviors, and that it is usually due to a detour from positive thinking. 2. Remove yourself. I don’t recommend becoming a hermit who throws potatoes at stray cats (my dad does that), by any means. I do recommend removing yourself from the environments that are filled with triggers that lead to poor decision making. This may mean staying away from friends or family who enable the lapses in judgment. Trust me, you will find who your true friends are when you are taking steps to better yourself and they resent you for it. Sometimes there are just too many bad notes playing in your symphony, so remove them. 3. Return to the plan. You formed a plan to aid you in your journey to health and wellness when you began, so get right back to it! If you consume too much food at a dinner, the next day get right back on your normal eating schedule filled with the proper foods. If you are diligent most of the time, your body’s metabolism will be able to handle a caloric onslaught from time to time, avoiding the setback altogether. Work your plan that is directly related to achieving your goals. That is why it is in place. 4. Get active. Moving can do so much to help you return to your motivated state. Not only are the physical responses to exercise very helpful, but the mental and spiritual benefits of moving are far reaching and will help you put into place the preceding three steps. I get a lot of thinking done out on a run or during a strength-training session. The physiological response to exercise is so much more than cells and muscles. The hormones that are released during exercise can be just what the doctor ordered to get your head right, remove yourself from damaging situations, and get back to your plan of attack. Arm yourself with these steps to help you bounce back if a setback happens. Just remember that everyone gets knocked down. What matters is whether you get back up! I have learned a great deal from Coach Divine of SealFit.com and am implementing some Seal habits into my daily life. You can read his blog here. Reduce - Many recipes call for an amount of sugar or fat well above the amount needed for taste and texture. Try reducing these ingredients by 1⁄3 or 1⁄2 when making your recipe. By using non-stick pans and cooking spray, you can reduce the oil or butter on baking sheets and pans. Substitute! There are healthier alternatives to use without compromising taste. Give the following substitutions a try. Eggs - For every egg, use 2 egg whites or 1⁄4 cup egg substitute. Scramblers or Eggbeaters can be found in the dairy/egg section of the grocery store. You can also make your own version of egg substitute: 6 egg whites, 1⁄4 cup nonfat dry milk, 1 tsp. oil, and 6 drops of yellow food coloring. Refrigerate for up to one week. Whipped Cream -Make your own! Beat together 1⁄4 cup ice water and 1⁄4 cup non-fat milk powder until thick. Add 1⁄4 tsp. vanilla, 2 tsp. lemon juice and 1⁄4 cup sugar. Another option is vanilla non-fat yogurt. Baking Chocolate - Use 3 Tbsp. cocoa powder for every ounce of baking chocolate. Applesauce - Rather than using all of the oil, margarine or butter in baked goods, substitute a portion with applesauce. For example, instead of 1⁄4 cup oil, use 2 Tbsp. of oil and 2 Tbsp. of applesauce. The applesauce provides moisture, but you still have the benefits of the fat in the oil and save 23 calories and 28 grams of fat! Prunes - For your best baked chocolate recipes, try baby food prunes as a fat replacement. They retain moisture and add to the color. Substitute the same amount as in the recipe, or try replacing with a portion of the prunes. Whatever you decide to bake or eat this holiday season, just remember moderation. Enjoy 1 or 2 cookies, not the whole batch!! Happy holidays and happy baking! You may have seen foam rollers in your corporate fitness center and wondered what to do with them or how they benefit the body. Using a foam roller involves a technique called self-myofascial release. The idea is that when deep pressure is applied to areas that have been overworked or carry tightness, the soft tissue tension is released, allowing for better flexibility, improved performance, and decreased pain. The good news is there aren’t many wrong ways to use the roller. You can use this tool on the back, quads, hamstrings, hips, glutes, IT band, and more. Typically, you will lie on the roller with the affected area pressing into the foam. 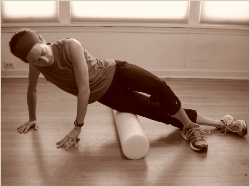 Then, use your body weight to slowly roll back and forth on the roller. You can compare the feeling of the foam roller to a deep-tissue massage. Some people will find the pressure to be therapeutic as it breaks down tension that they have been experiencing. For other people, the pressure can be too much, especially on tender areas, so it may be borderline painful. Start by rolling gently, perhaps supporting some of your body weight, so that it is not all bearing down on the roller. Runners especially tend to benefit from foam roller therapy. When used on a regular basis, it can prevent tightness in the back, hips, and legs. If your corporate fitness center does not have a foam roller, consider investing in one of your own. They are inexpensive, ranging in price from $20 to $40 at your local sporting goods store. This article shows a foam roller routine that can be done once per day, leading to benefits in only two weeks. I actually witnessed my brother order a large hamburger with a fried egg on top. It was like Man v. Food! I’m pretty sure that’s not what they are talking about when I read articles about eggs helping you lose weight. I love eggs, so it’s easy for me to eat those most mornings and even other times of the day. There are many benefits to eating eggs throughout the day. Some like to eat them late at night or throw a hardboiled egg on their salad. But eating eggs in the morning for breakfast is the way to go! Eggs are packed full of nutrients. They are high in protein, which helps you to feel full longer. Eating eggs for breakfast can also help you to eat a smaller lunch. 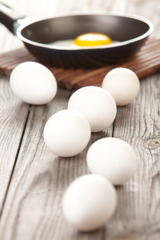 Eggs are a very low-carb food, and have only roughly 85 calories per egg (depending on the size). I think it’s a myth about the yolk being unhealthy. A lot of protein and nutrients are found in the center. So, quit separating and eat the whole thing! In addition to the health benefits, there are other great things about eating eggs. Eggs are inexpensive and can be stored in the fridge for long periods of time. They don’t take much time to cook, and can be cooked several different ways to help with variety. Try these different options: omelet, sunny-side-up, scrambled, hardboiled, or poached. I like to make breakfast wraps with scrambled eggs, hot sauce, and a little bit of cheese. I also like to eat egg sandwiches using English muffins, or cut up some fresh vegetables for omelets. There are lots of good ways to eat eggs, so get creative and have fun with it! Your body will reap the benefits. You can also talk with your corporate fitness center staff about other healthy options for breakfast. By now you’ve probably heard that mixing up your workouts is the thing to do. I think it’s important to mix up your strength exercises and cardio sessions. Here are my thoughts on elliptical workouts and walking and how to use them both. The elliptical is one of my favorite cardio machines. It’s easier on the joints and you can move your arms on most elliptical machines to help burn more calories. If you contract your abs (without holding your breath) while moving your arms and legs on the elliptical, you can also get a core workout. Crank up the resistance and switch directions (forward and backward) often to work more muscles. Walking is the easiest way to burn calories. You can get up and go for walks throughout your day. 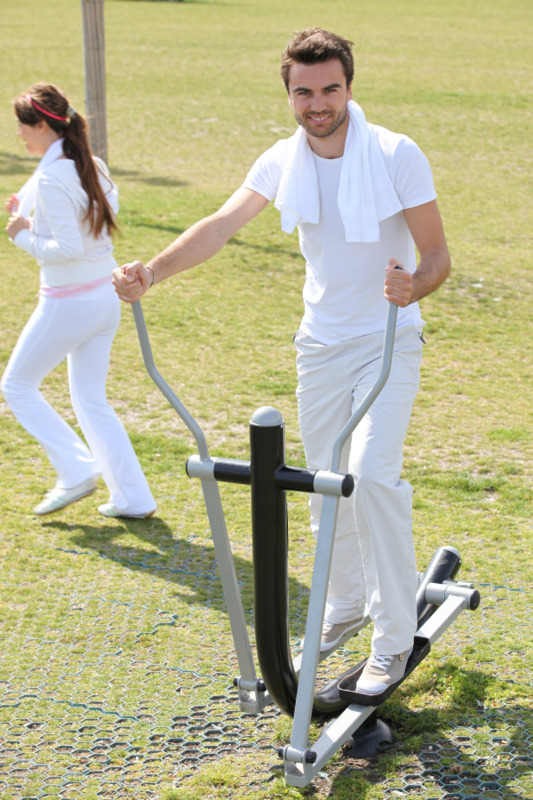 Most people when walking naturally are not going to get their arms moving as much as when using the elliptical, however. When walking, try to move your arms as much as possible and push your speed to help burn more calories. Also, try to add some hills in your walk or increase the incline if you're walking on the treadmill. The elliptical allows you to use more muscles than walking, and you can work some muscles on the back side of your body, too, by going backward. They both are lower-impact exercises for the joints. You will benefit from doing different movements, so start incorporating both walking and the elliptical if you haven’t already! Talk with your corporate fitness center staff for ideas on how to mix it up best.